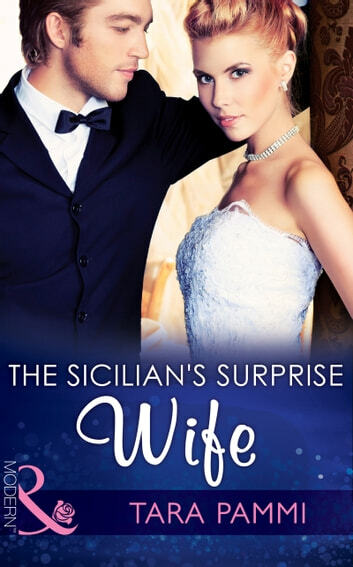 The Suave Sicilian: Married for Revenge Stefan Bianco is a man with one thing on his mind. Revenge. And the last person he expects to see hanging on the arm of his nemesis? The stunning Clio Norwood; the only woman to ever resist his near-lethal brand of seduction. Clio’s life has become a mere shadow of what it once was. But Stefan’s searing gaze returns her to the fiery, passionate woman he once knew. Clio has the key to his revenge, and Stefan has the key to her freedom…but only if he agrees to her shocking proposal! Society Weddings The world’s sexiest billionaires finally say 'I do'! Society Weddings: The world’s sexiest billionaires finally say “I do”! Dedicated bachelors and firm friends Rocco Mondelli, Christian Markos, Stefan Bianco and Zayed Al Afzal have made their marks on the worlds of business and pleasure. Marriage was never something they were ever after…but things change and now they’ll have to do whatever it takes to get themselves to the church on time! Yet nothing is as easy as it seems…and the women these four have set their sights on have plans of their own! You are cordially invited to: The marriage of Rocco Mondelli & Olivia Fitzgerald in The Italian’s Deal for I Do The marriage of Christian Markos & Alessandra Mondelli in The Greek’s Pregnant Bride The marriage of Stefan Bianco & Clio Redgrave in The Sicilian’s Surprise Wife The marriage of Sheikh Zayed Al Afzal & Princess Nadia Amani in The Sheikh’s Wedding Contract So RSVP and get ready to enjoy the pinnacle of luxury and opulence as the world’s sexiest billionaires finally say ‘I do’… Praise for Tara Pammi The Man to be Reckoned With 4.5* RT Book ReviewPammi’s romance is a bittersweet tale, set on a grand English manor. Her enigmatic, loner hero bent on revenge and innocent, intelligent heroine wanting forgiveness play their roles perfectly. But it’s the intensely heart-wrenching conclusion that’s the perfect icing on this drama cake. The True King of Dahaar 4.5* RT Book ReviewExotic locales and ostentatious riches enhance this disturbing, poignant second-chance desert romance. The willful, broken Arabian prince and offbeat Middle-Eastern heroine doctor both harbor destructive secrets and thwarted passion in this painfully sincere twist-of-fate tale. A Deal with Demakis 4.5* RT Book ReviewPammi’s romance is a losing (but entertaining!) battle of wills, set on a jewel in the Greek Isles. It stars a know-it-all, emotionally damaged Greek tycoon and a down-but-not-out heroine, whose interludes are meteoric.